As such, it is also a great way for people to find out about disabled rowing at your club. Users of the site might be searching for “sport” or “activity” or “fitness” in your area. I came across the site and found a number of 468 places listed when I search for “sport”. 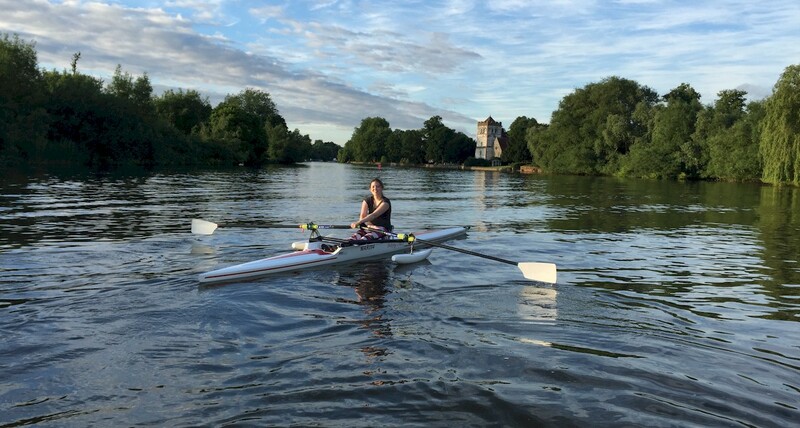 One of Marlow Rowing Club’s most recent members, Nikki wrote a review of the club and its facilities and submitted it to the guide. It is glowing (5 stars in all categories), but that shouldn’t be too surprising since the relatively new clubhouse was (re-)built with a strong emphasis on accessibility. The review template allows people to describe very clearly what to expect (and not expect) at the site. It’s not necessarily a bad thing or a condemnation to put less than 4-stars. It just provides an alert to the readers of some shortcomings so interest folk can come prepared. 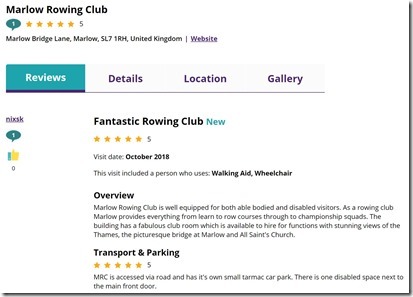 Recommendation – Have one of your adaptive/pararowers write a clear and honest review of your facilities and programme for Euan’s Review to make it easier for disabled individuals in your area and interested in sport and recreation to find out about the possibility of adaptive rowing.